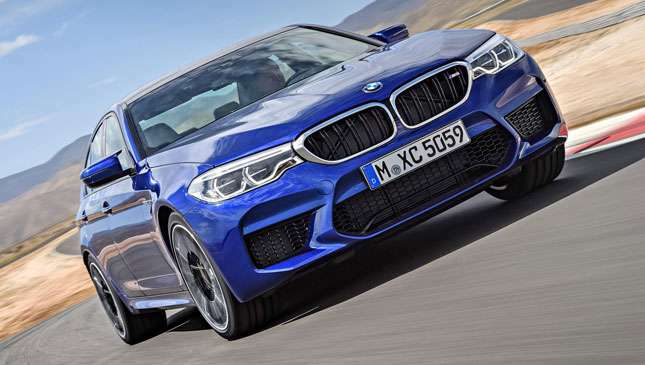 Time to get friendly with your local tire-fitter: It’s a new BMW M5. 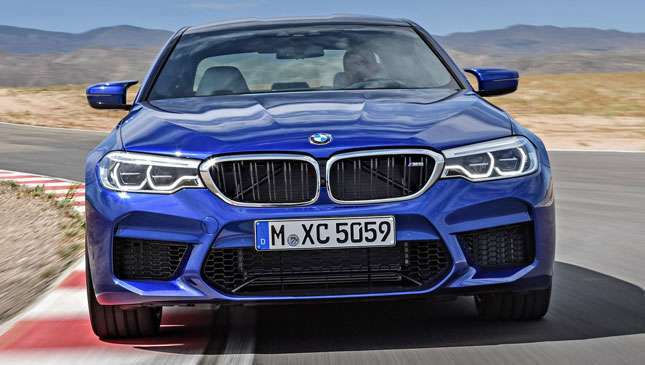 But such a clichéd intro line might not be relevant here, because BMW has succumbed and made the most famous sports sedan of them all four-wheel drive. Purists finally coming around to turbo 911 Carreras have just been dealt another blow. They can take solace in the fact it’s not any old 4WD system. Like the one used in the latest Mercedes-AMG E63, it’s one that has fun in mind. Dubbed ‘M xDrive’ (not to be confused with MX-5), it switches to rear-drive only when you turn the stability control off. 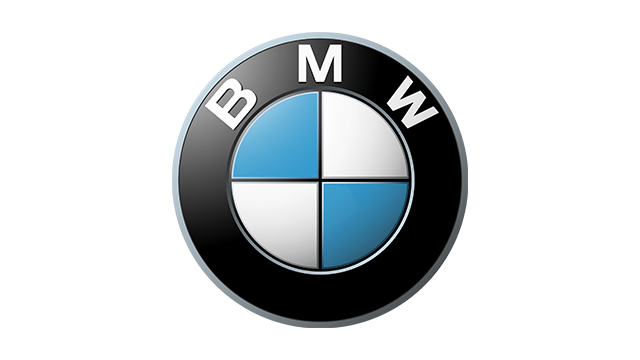 BMW’s engineers know fine well why you’re pressing that button, it seems. The engine is a new tune of 4.4-liter twin-turbo V8, with a nice round 600hp and 750Nm. That pitches it somewhere between Merc’s two tunes of E63, and it’s enough for a 3.4sec 0-100kph time (the same as the quicker E63 S) and a 249kph top speed. Limited, of course. This would surely crack 322kph without the electronic nannies. Or get damn close to it. While the 4WD system is in full force when the car starts up, the front axle only receives power when the rear tires reach their limits. The rear axle also has a differential to best shuffle power around when you’re having fun. Good for making you look like a hero. 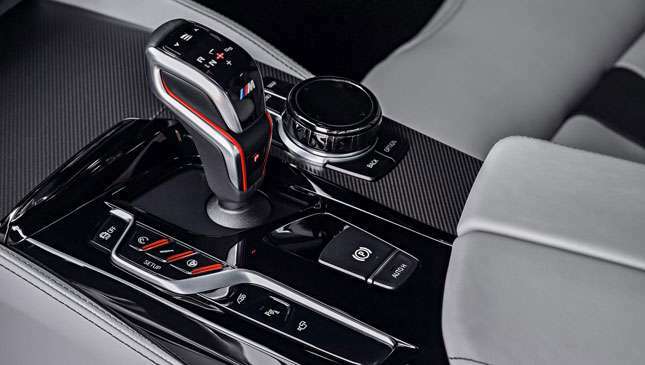 Your only transmission option is an eight-speed automatic—not a dual-clutch one, a traditional auto—but naturally comes with a manual mode operated through the steering wheel paddles. Or the knob, which as the pictures confirm, is a little bit odd to look at and, presumably, to hold. 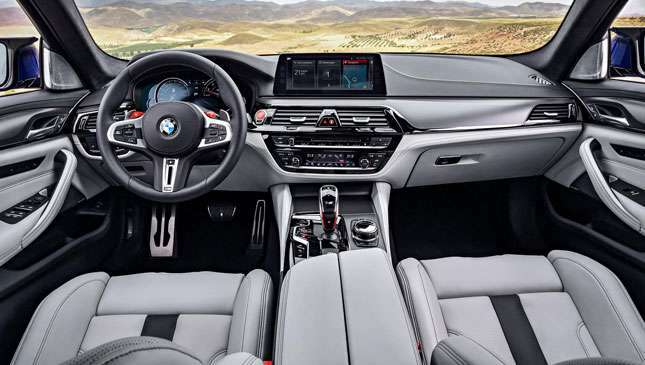 The engine, gearbox, and suspension are all adjustable through many modes, as is the stability control. You can quieten down the exhaust independently of these if you want to keep yourself out of trouble. 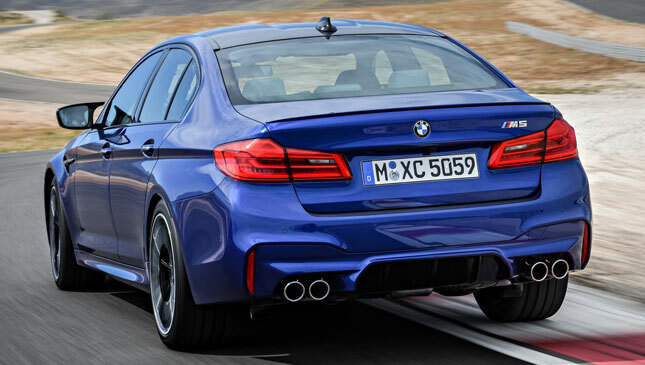 Much nerdiness goes on within the M5’s componentry, an oil pump with variable flow—to combat G forces—being a highlight. 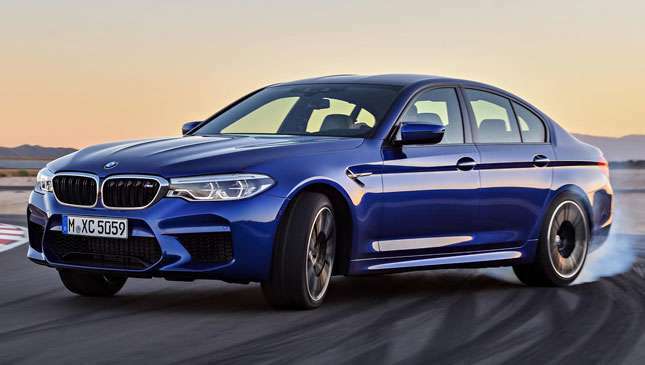 The M5 comes on a set of 20in wheels with their own specially developed tire, and can shroud carbon ceramic brakes if you get excitable with the online configurator. Spec those wheels in black and it’s a proper subtle sports sedan if you select the right body color, which this shade of red arguably isn’t. Nice, but a bit bling. 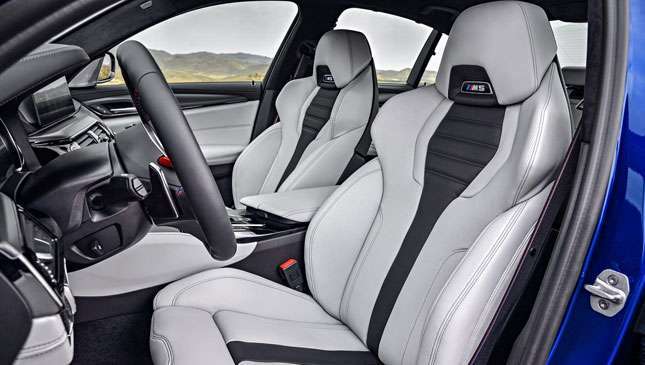 It’s the first M5 to get a carbon-reinforced plastic roof, something M3s and M4s have enjoyed for a while. The price isn’t so subtle, at £89,640 (P5.94 million). Even a restrained options-box tick will see you hit such figures. 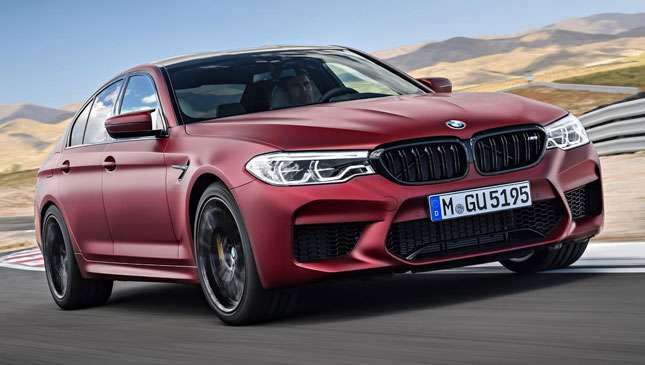 A heck of a lot of money, but then an M5 is a heck of lot of car these days. Like the sound of this one?